Mytpr.com was created exclusively for the members of Trilogy at Power Ranch. Members may login by clicking on Member Login to gain access to the private community area. Please contact the Member Services desk (480-279-2053 or memberservices@tprcoa.com) at the clubhouse for new logins. Trilogy at Power Ranch is located in Gilbert, Arizona. Just a short drive from Phoenix, Trilogy at Power Ranch is located near the San Tan Mountains. In this thriving area, you’ll have access to a wide variety of amenities, fine dining, and convenient and varied shopping experiences. You can relax at your home in this age restricted, gated, private resort community where tranquility is the essence, and possibilities are born by the moment. Trilogy at Power Ranch offers our Members the perfect blend of elegance and convenience. Amenities in our resort community include a warm and friendly clubhouse, two swimming pools and a spa, sport courts amenities (which include tennis, pickle ball, and bocce), a fully equipped fitness center, a Café (including a commercial kitchen), and a multitude of arts, crafts, clubs, and activities that are available to all Members. To our Members, thank you for making Trilogy at Power Ranch your home! To our visitors, please feel free to visit the public areas of our website to learn more about our community and how you too can make it your home. *Connection to the WIFI is only available in the Clubhouse. Click here to access our E-Forms. If you are getting ready to head home, stop by the Member Services Desk and pick up a second copy to take with you. the 2019 - 2020 Community Telephone Directory. 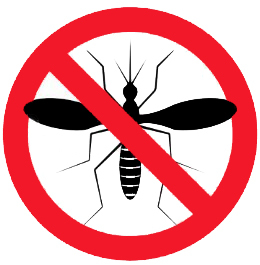 Our Mosquito Fogging contractor (T2 Pest Services) will be conducting Mosquito Fogging on the loop (entry drive, parking lot, Village Parkway, Ficus) and neighborhood parks on the following dates between the hours of 11:00 PM and 2:00 AM. Trilogy, a beautiful, vibrant, active adult community where friends are made, life is enriched, and dreams are realized. Provides a modern, beautiful, up-to-date community environment and facilities. Promotes healthy lifestyles, social interactions, and enriching activities. Supports the existing and changing needs of Members with highly effective activities and events. 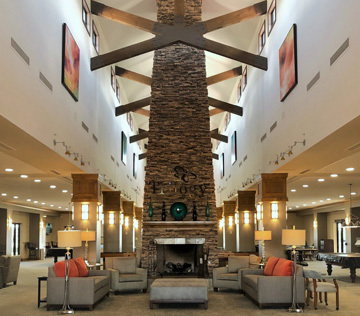 Embraces new opportunities to meet Member's desires and to attract new residents.